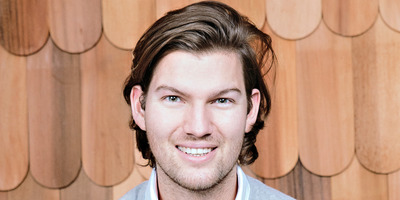 N26N26 CEO and cofounder Valentin Stalf. German app-only bank N26 is launching in the UK on Thursday. The startup, which is backed by Peter Thiel’s Valar Ventures, already operates in 17 countries across Europe and has 1.5 million customers. LONDON – German app-only bank N26 on Thursday announced plans to launch in the UK as it continues its rapid expansion across Europe. N26, which first launched in Germany in 2015, said it plans to run a “beta” testing phase before rolling out to its 50,000-strong UK waiting list in the coming weeks. N26 was founded in Berlin, Germany, but currently operates in 17 markets across Europe. It has 1.5 million customers and Stalf said the bank is signing up 5,000 to 6,000 new customers a day. Britain already has several digital-only banking startups targeting consumers, including Monzo, Revolut, Starling, Tandem, and Atom. Stalf said he was not worried about competition. Stalf said that N26, which has a full banking licence from German regulators, will differentiate itself from others such as Revolut and Tandem by positioning itself as a full replacement for a bank account. “We’ve our own banking licence in Europe, we’ll offer all the sort codes and full account functionality,” he said. N26’s next goal is to launch in the US in the first quarter of 2019. The startup has raised over $US200 million from backers including Tencent, Allianz, Peter Thiel’s Valar Ventures, and Horizons Ventures, the venture capital business of Hong Kong billionaire Li Ka-Shing. It is already processing over €1 billion in monthly transactions.